In our continued quest to support and educate our team, Oz Lotteries is supporting Mental Health Week. During this week, we aim to raise awareness of mental health and wellbeing in the wider community. A critical part of reducing stigma is public awareness and an understanding that mental health can affect anyone. The week is also designed to get people talking about mental health and prompt people to find out more about mental health problems and seek help. 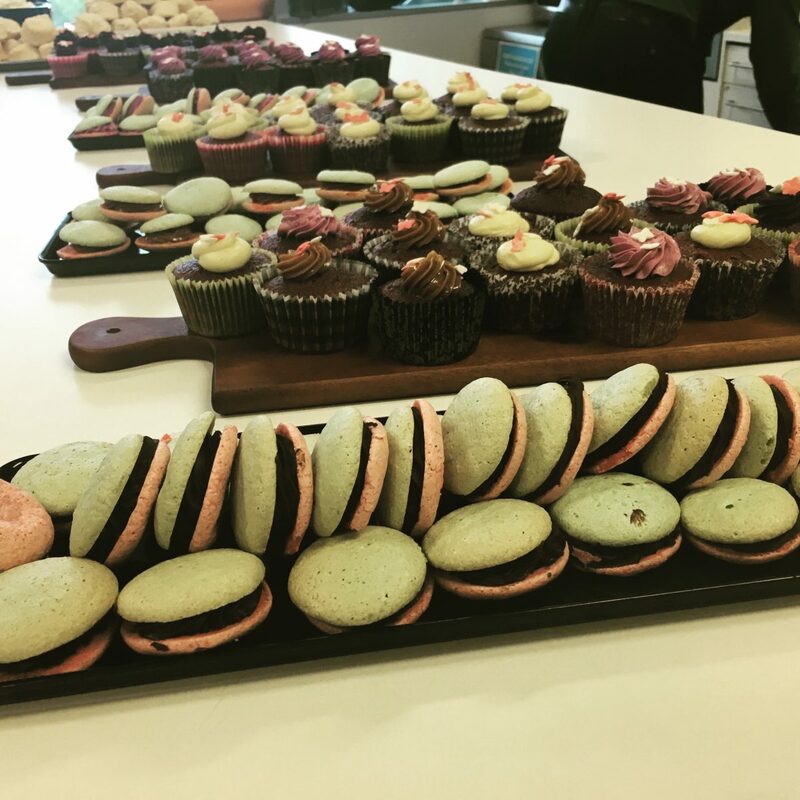 As part of Oz Lotteries’ commitment to supporting Mental Health Week, our chefs Lisa and Ceasar prepared an afternoon tea featuring a yummy selection of macarons, cupcakes and scones – although to the consternation of all, the coffee machine was out of order! The afternoon tea was a great success, giving staff the chance to sit down together and chat about mental health. We believe that speaking openly about mental health reduces stigma and encourages people to seek support. At any given time, one in five Australian employees is likely to be experiencing a mental health condition – most commonly anxiety and/or depression. Like any health condition, anxiety and depression can affect a person’s ability to work. And like any other health condition, treatment is not only encouraged but recommended. Mental health is a physiological issue where the proper treatment can be not only make it manageable but also improve quality of life. During our working years, we spend around 40 per cent of our lives at work. We develop close relationships with our colleagues and are often well-placed to notice changes in their behaviour. We can play an important part in helping a colleague. It may be asking how they are, inviting them to take 10 minutes for a private talk or supporting them to seek the help they may need. If you notice any changes in your thoughts, feelings or behaviour, please see your GP or health professional. For immediate help, you can contact the Beyond Blue Support Service – available 24 hours a day, seven days a week on 1300 22 46 36; or chat online from 3pm to 12am seven days a week through the Beyond Blue website. If you or someone you know are in an emergency, or at immediate risk of harm to yourself, themselves or others, please contact emergency services on 000.